Please join us for this second of our three classes focused on sparkling wines. In Champagne!, we will focus in on, taste, and discuss the dry white wines from Champagne as we look at how they are made (methode champenoise), their styles and nuances, where and from what grapes they are made, serving, glassware, and Champagne with food. 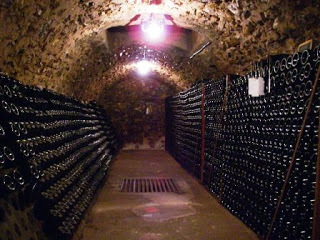 We will taste through the diversity of dry Champagne as we look at a total of 15 wines. The wines tasted will be served in Riedel Degustazione stemware and a selection of cheeses and bread will be served. Champagne! will cost $80 per person (cash or check) or $84.21 (regular). To purchase your ticket, please contact Susan Coburn at 713-854-7855 or coburnsusan2@gmail.com. How about this Little Pootsa!